Why waste time making food, when you can just get something else to cook for you? Sandwich-o-matic originated from an idea of a toaster that butters your toast for you. 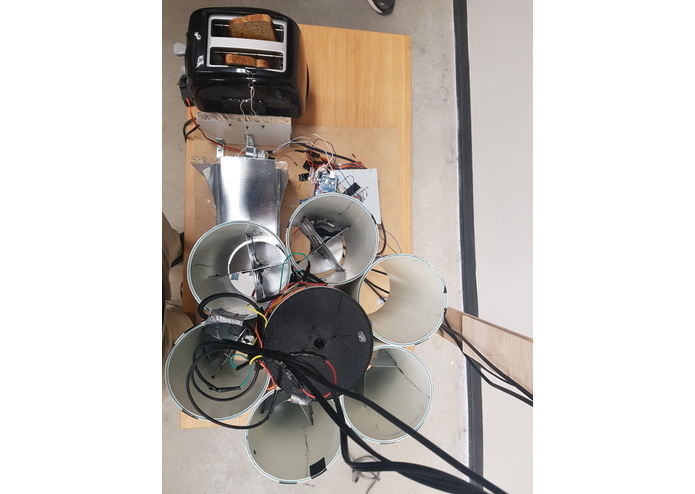 We explored the idea, and took it a step further by building a voice controlled sandwich maker. Sandwich-o-matic is a fully automated, voice controlled sandwich making machine. Simply tap the "begin recording" button on the site, and tell the machine your order (for example, "please make me a sandwich with pepper and sausage"). The machine will construct the sandwich from scratch, right before your eyes!! 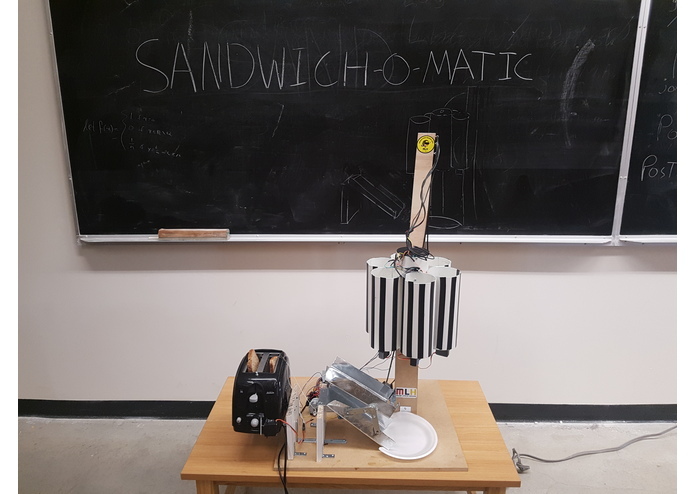 Sandwich-o-matic was an ambitious idea for a thirty-six hour hackathon. We spent a lot of time planning the design for functionality (e.g. the spinning disks under each topping chamber), and even more time building the parts. 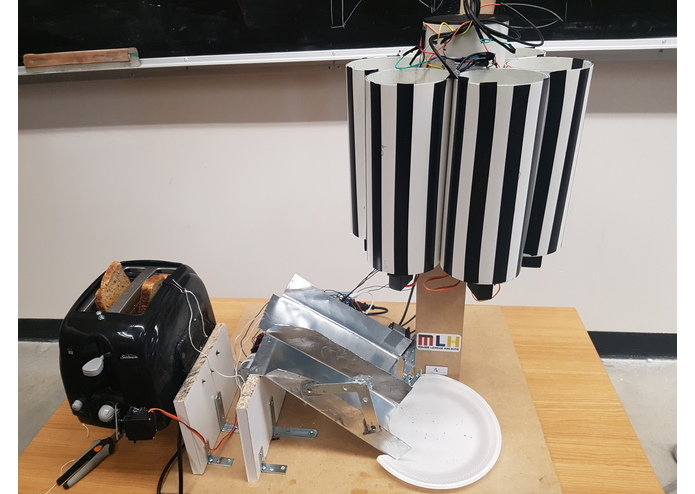 We used Servos for all of the moving parts except for the DC motor that pulls the toaster sideways, all of which are controlled by the combination of a Photon and an Arduino. The back-end is node, hosted on AWS. We used the Google Cloud Platform for voice to text features. Every step forward brought us to a new challenge of all sorts. From having to rethink our dispensing design to having to deal with I2C, we had to face a lot of new challenges. 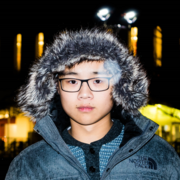 What really helped us to get through these challenges was working together as a team to brainstorm solutions, and asking our teammates/other hackers for help. Oh man, where do we start?! First off, the thing actually works. Like, it actually makes sandwiches if you have ingredients in the topping compartments. Secondly, we managed to get things done ahead of what we thought we could. Ultimately, we're proud of how well we worked together as a team and how much fun we had while making the Sandwich-o-matic. Hardware is annoying but rewarding, Photon is extremely overpowered, APIs are hard (looking at you, Google), and how to cut lots and lots of sheet metal. More sandwiches! We would love to incorporate more features into the Sandwich-o-matic. We think that having more topping options and more condiments would allow users to really enjoy being able to make sandwiches without having to do more than ask for one. We will definitely try to continue building on this idea in the future. Worked with Colin on the designing and physical build of the project. I was responsible for the embedded software of the machine. I worked with the Photon and Arduino in order to process the requests, control all of the servos, and make everything run smoothly. 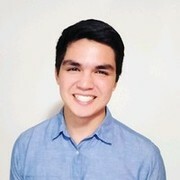 I was responsible for the NodeJS web server, which forwards NFC and voice recognition sandwich requests to the Photon API, streams data to and from several APIs to achieve voice recognition, and contains helpful tools for testing and debugging the overall flow of information. Worked on the major hardware components of the project. I designed/constructed the ingredient dispenser and many other mechanisms of the build. One fun fact – if you look closely, you can see that the toaster is epoxied to a door hinge. The door hinge is in turn hand-screwed to a piece of Ikea shelf. Finally, the sad epilogue: due to space constraints on the bus, we had to leave Sandwich-O-Matic behind at Trent, after salvaging away the components. But it shall live on forever in our hearts, souls, and stomachs.